If you haven’t been following the Nationals this year, you’ve missed one of the best teams in baseball and the running storyline of their young ace Stephen Strasburg. 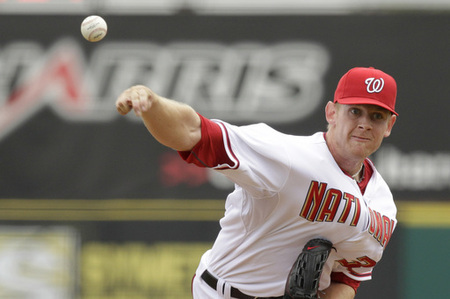 Washington General Manager Mike Rizzo decided to sit Strasburg for the rest of the season once he reached approximately 160 innings pitched in order to protect Strasburg’s arm. This is really only an issue because the Nationals are rolling towards the postseason, and if the idea of shelving perhaps your best player during a pennant chase for no obvious reason seems bizarre, then feel free to join in the Rizzo bashing. There are three things to take notice of here. The first is Rizzo’s admission that there is no way we’ll ever know if this is the right decision. That fine moment of honest appraisal is tossed out the window when he terms it ‘the best decision for Stephen and the Nationals’. You can’t have it both ways, for if it’s impossible to know if it’s the right choice, then no course of action can be a verifiable certainty. Thirdly, his admission that he’s stubborn and ‘nothing’ is going to change his mind is poor executive management and should have every Nationals fan inwardly (and outwardly for that matter) cringing. Business, sports and war are all highly fluid situations, as I think Johnm Travolta’s character said in Broken Arrow, and to maintain a course of action for no reason other than it was decided upon before the season started is just plain silly. This entry was posted in Baseball and tagged Baseball. Bookmark the permalink.